No one wants to get fired. It’s a huge blow to your finances, a hit to your confidence and of course, a black mark on your employment record. But getting fired doesn’t mean the end of your career. In fact, it can be an opportunity to reflect on your career and make improvements, as long as you are open and honest with yourself. Once your employer has made the decision to end your employment, there is nothing you can do to get un-fired. In fact, you can make a bad situation even worse for yourself by handling the situation poorly. However, there are steps you can take to ensure you exit your former company gracefully and quickly gain new employment. If you were caught by surprise, or if you believe the termination was unfair, this can be especially difficult. Remain professional and respectful towards your former employer and coworkers. Stay collected and cordial while you are still in the building, even if you’re angry or upset. Do not let the heat of the moment ruin the relationships you have with your former boss and coworkers. A decision has been made, and no amount of pleading can likely change it. And consider this: while change can be difficult, do you really want to work at an organization that does not think you’re a great fit? Instead, focus your discussion on understanding the exit process and negotiating any remaining benefits. It is appropriate to ask about benefits, severance pay and how the employer will handle reference calls. In the moment, it might feel good to tell your boss what you really think of them, but this satisfaction will be brief. Instead, keep your conversation short and professional, return to your desk and pack up your belongings and leave the building composed. The only thing worse than losing your job is losing your dignity at the same time. 4. TELL YOUR FAMILY AND CLOSE FRIENDS, BUT NOT THE WHOLE WORLD. Opening up to your family and friends will help you recover from the loss of your job, but be careful how you share the news with your professional network. The things you say when you are still angry from the termination will follow you professionally. It’s best to cool down, collect your thoughts and strategically plan how you will move forward before you start talking to your network. 5. TAKE SOME TIME TO REFLECT. While you probably want to start posting your resume on every job board and applying for every position you see, getting fired can be used strategically as a new beginning. Take time to consider what you did and did not like about your old job, boss and organization. 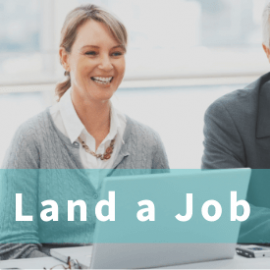 Knowing the type of position and company you’d like to work for may end up meaning that even though getting fired is tough, six months or so down the road you could be extremely happy with your new career path. 6. FIGURE OUT HOW YOU WILL TALK ABOUT YOUR DEPARTURE. Practicing your delivery will help you figure out how to share the news in the best way possible. It may be tempting to lie about the circumstances surrounding your dismissal, but most employers do reference checks and you do not want to be caught up in a lie. A rehearsed, honest statement about what happened is your best opportunity to explain the situation. Sticking to honesty will also help you keep the story straight. Know what you want to say, and how you want to say it. Deliver your message confidently, and then move on quickly to the next topic. 7. START THE SEARCH FOR YOUR DREAM JOB. Call on your network, enlist the help of a recruiter and start looking for a position that will fit your career goals. At this point, the best thing you can do for yourself is to move on to something that will be a better fit for you. Getting fired is one of the most stressful things you will experience in your career. You may feel powerless in the decision, but as you can see, there are many things you can do to control the situation and minimize the long-term effects it has on your career.